Even Thrall can go Wild! 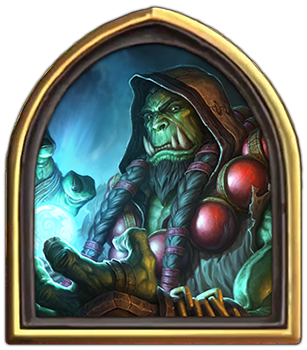 This week on the show Avanties, Mattatarms, Virsica, and Zerotio take a look at the numbers on matchmaking, the announcement of Rastakhan’s Rumble pre-release events, when to expect the card reveal streams and we look back at our Boomsday rankings. During the play portion we check out a Wild Event Shaman deck. Diving into the numbers on matchmaking. What we know, what we don’t, does anyone REALLY have time for this? – Mattatarms take lead on discussion about the Reddit post. Time is an illusion, turn times doubly so. Build a standard deck and each turn you’ll get an extra turn! Proactive Strategies and Combo seem really strong.